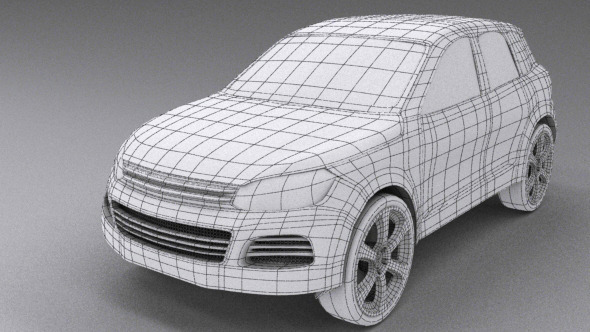 Base mesh of a crossover/4×4. 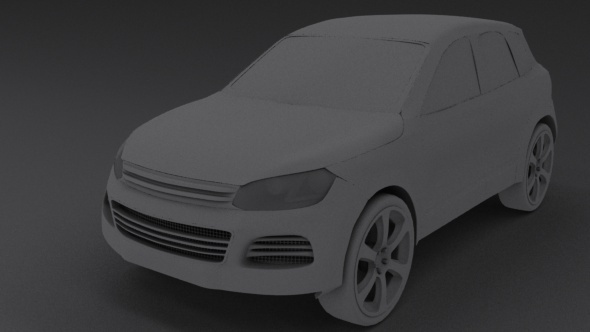 Mesh is based on VW Tiguan and is medium-poly. 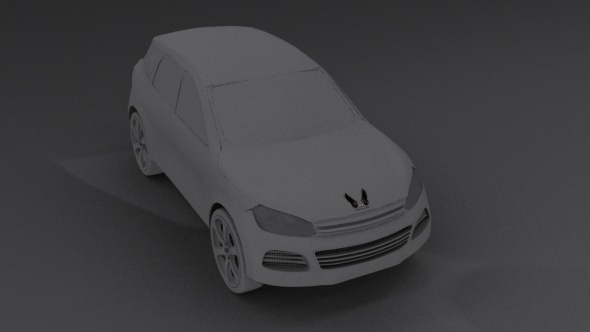 Files Include 3ds max (2012,2015), Cinema 4D (c4d) and ZBrush Tool (ZTL). 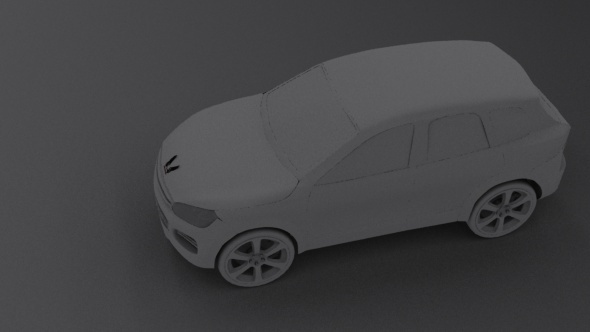 Also included are fbx (multi-format) and obj (multi-format) formats for import into other 3d applications. Preview renders are included as well. Base mesh has two versions for 3ds max one is low poly without any smoothing modifiers applied and this version does not include wheels. 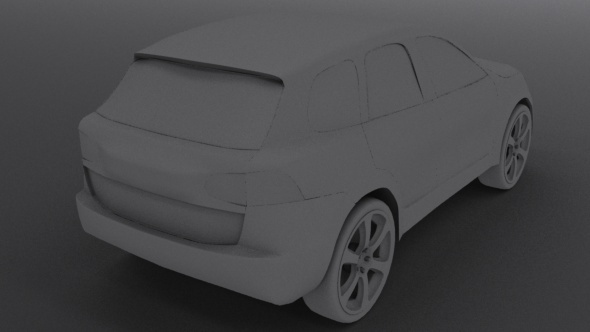 Other versions include smoothing modifiers and wheels. The parts of the vehicle have been separated to give you more control over further modifications. Hopefully you will find the model useful as a base for your own projects.